[Source: blatr] Director Zack Snyder presented the first footage from the upcoming Justice League movie directly from Hall H at San Diego Comic-Con, and it looks pretty awesome. 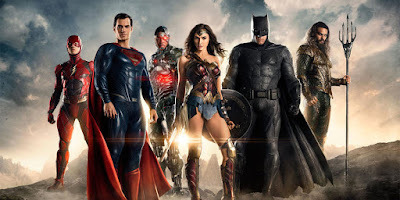 In the clip, Bruce Wayne (Ben Affleck) and Wonder Woman (Gal Gadot) are looking to form the Justice League and reach out to Ezra Miller’s Barry Allen, aka the Flash, Jason Momoa’s Aquaman and Ray Fisher’s Cyborg. They’ve also unleashed the first official pic of the Justice League, and you can have a close look at the Flash, Cyborg and Aquaman’s superhero costumes in all their high-res glory!